In organisations around the world, hierarchical structures are breaking down, replaced by deeply interconnected, constantly shifting networks, linked by innovative technology. Meanwhile, huge leaps forward in artificial intelligence promise to fundamentally change the nature of work, either by enhancing or replacing human-beings. Research by McKinsey suggests that half of today’s work activities could be automated by 2055, with repetitive and process-based roles the first to go. For employees, this looks likely to mean a greater focus on creative skills, where humans retain an advantage. These skills are not restricted to being purely artistic, as creativity describes the process of problem-solving in a new way. The rise of creativity is also being driven by new generations entering the workplace with different demands and expectations than those before them. But how do employees themselves feel about being creative? 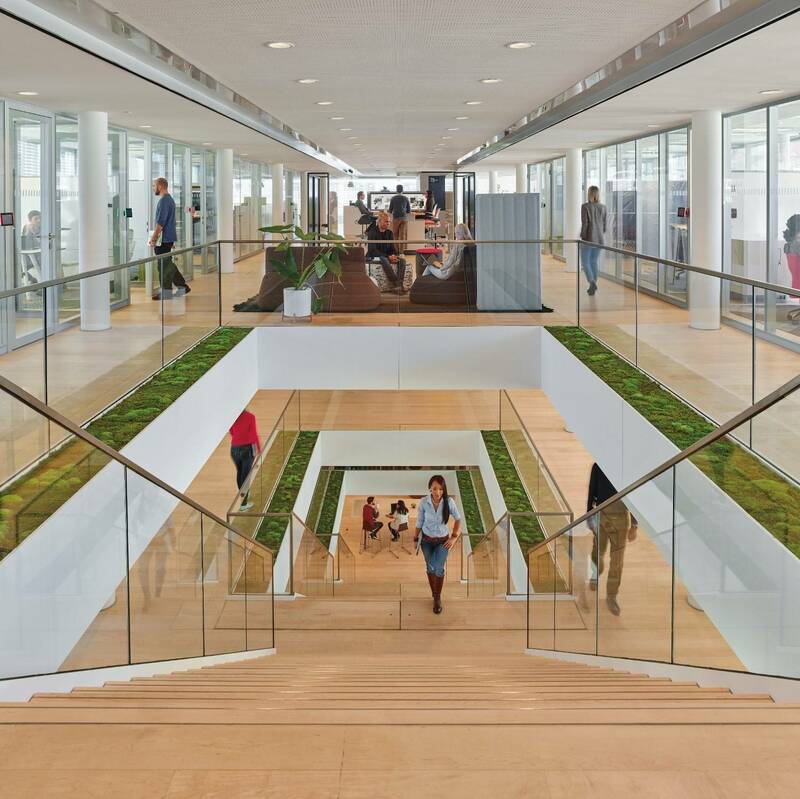 A Steelcase survey of nearly 5,000 employees across France, Germany, Japan, Spain, the UK and the US, provides an insight into their views, opinions and perspectives on creativity. What does creativity mean to employees in different parts of the world across different sectors and demographics? Do they see themselves as creative? The research revealed that employees in the UK are able to work creatively less frequently than those in other leading economies. This is a critical issue as digital transformation is rapidly upending the world of work; routine tasks are disappearing and organisations across sectors increasingly need workers to think creatively and solve difficult problems. In the UK only 36 percent of people declare to be creative on a daily basis – placing the UK behind the US, Germany and France. However, a high proportion of employees declare that they would welcome the opportunity to be more creative; this gives organisations the chance to build a culture of self-expression and -improvement through risk-taking, by allowing equal access to spaces, tools and technology. Organisations that provide their workers with technology such as large-scale computing devices will encourage equal participation as everyone is able to contribute to and interact with content, regardless of their hierarchy or position. Named as one of the biggest barriers to creativity in the survey, organisational process is declared as being an area that clearly needs to be addressed if employers are to foster a more creative culture. Where possible, employers must ensure that their workers have the freedom to think creatively when performing their day-to-day tasks. Core organisational processes, such as inductions, training programmes and annual reviews, should be redesigned to support and reward creative behaviour and to communicate the important role that creativity plays in the organisation’s success. Organisations can also help support creative thinking, while building an open and trusting team culture, through placing meaningful objects and accessories around the workplace or better yet, allowing workers to personalise their environment to make their workspaces their own. A focus on posture ensures physical comfort, whilst a focus on creating natural boundaries that form zones for collaborative and independent creative work ensures emotional comfort. It is imperative that organisations honour the importance of individuals whilst also helping to foster a warm and nurturing group environment. Employees should be supported through the different stages of creative thinking with a mixture of smaller and larger work zones that offer workers areas for individual exploration, social connection, co-creation and evaluation. In this way, providing a variety of spaces, technology and tools helps to support individuals and teams as they cycle through the creative process, while giving them the freedom to choose where and how they find their creative spark. Spaces should be located intentionally and invite people to interact, supporting the flow of information and experiences. • Creative processes: Employees should choose where to work and with whom based on where they are in the creative process, from individual focus work to generating and socialising ideas. • Get outside and move around: Exposure to nature releases endorphins that improve the mood and encourage a more creative state of mind. Workers should leave the office regularly or work in an area with natural sunlight. Movement is another way to stimulate the brain, so taking part in some kind of exercise will help get the cogs whirring. 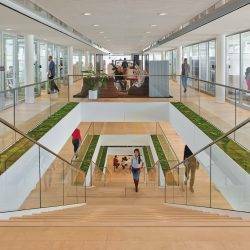 • Work in inspirational environments: Employees can find spaces that inspire them through design and that facilitate the kind of work they are doing. Looking to the future, the majority of employees surveyed in the UK (84 percent) believe their role will require the same level of creativity or more. For more creative thinking to come about, organisations must build a nurturing environment in which an open and collaborative culture can thrive. Leadership plays a huge role in supporting this shift towards a culture in which failure is accepted as an integral part of learning, so as to strengthen the creative confidence of employees. Investment in new technology and innovative design is another essential part of the game in enabling employees to produce their best work in the age of automation and human creativity. 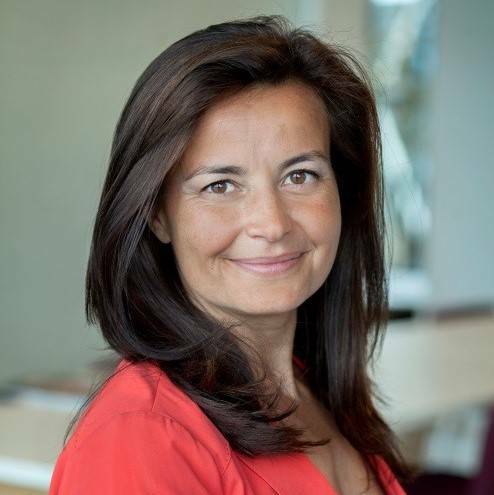 Serena Borghero is the editor of 360° Magazine in EMEA and Director Media Relations of both Steelcase, a global leader in the office furniture industry and the premium design brand Coalesse.